Passport is an 8 times a year gay and lesbian magazine from the US. 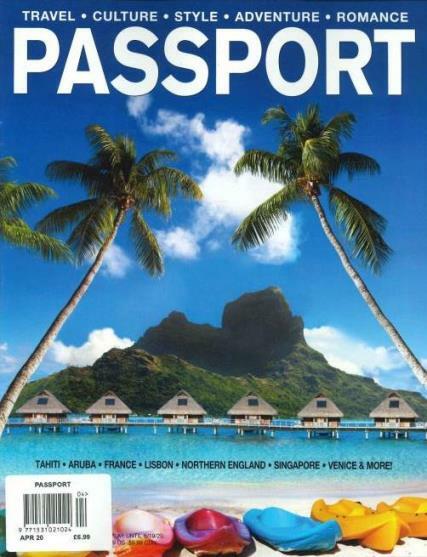 PASSPORT magazine is the insider’s guide to enjoying life to the fullest. Pack your bags and join us for a VIP tour of the most unique and exciting places in the world. From Las Vegas to London, Bora Bora to Buenos Aires, we provide what you need to have the best time of your life—wherever you go. As savvy connoisseurs of all the good things in life, our writers travel the world and experience the destinations that gay people love. Whether they’re writing about the best hotels, exotic and delectable food, or the hidden gems that make each locale special, they provide our readers with original, passionate content in every issue of PASSPORT magazine! Whatever you want to do, and wherever you want to go, you’ll find the resources and inspiration you need in PASSPORT magazine. Our content is comprehensive and personal, our photos stunning and provocative, and our goal is help you live your life to the fullest every day.